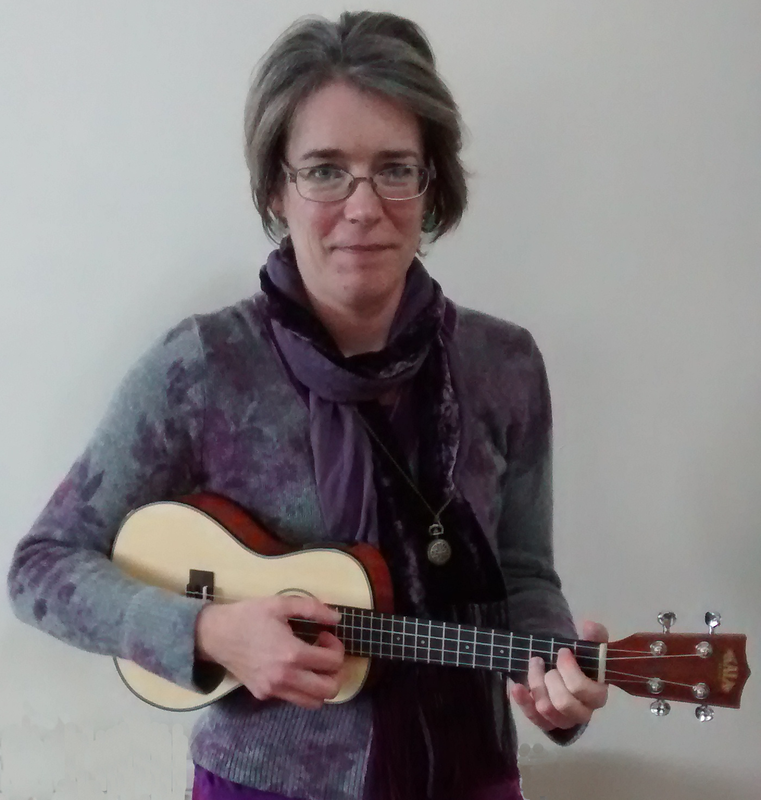 In addition to our Ukulele Workshops, both Caroline and David are happy to give private ukulele tuition. Please e-mail us for more details. David's musical background is as a guitarist and song-writer. He has been playing the guitar for almost 40 years and has played in a number of bands. He took up the ukulele in 2013 and co-founded You Ukes with his wife, Shirley, in 2014. David leads the You Ukes Club sessions, selecting and arranging a wide range of songs for the group to learn, practice and play. 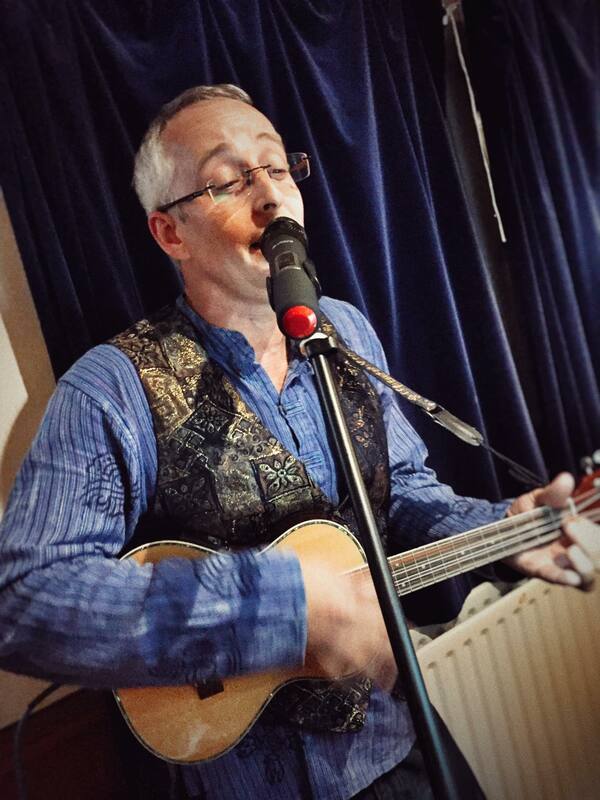 David also leads the You Ukes 'n' All Band in our Jamming Sessions and at our various gigs throughout the year. It's been a long journey from baroque violin sonatas to the ukulele for Caroline, who has a background in classical music. She began learning the violin at the age of 8, completed all the Associated Board of the Royal Schools of Music exams, played in the Warwickshire County Youth Orchestra and in an award winning quartet before the age of 18. After a musical lull of some years, she took up the ukulele, discovered fun in music (as well as new tunes), and her violin playing was transformed! As a qualified (PTLLS) teacher, she loves helping people to unfold their potential. Shirley is the inspirational heart of You Ukes. Having only discovered playing music later in life Shirley wants to spread the pleasure and camaraderie of playing music with others. She is an example of how far you can come in a short while; and, as she was a beginner so recently, she remembers what that is like. Shirley knows how to welcome new-comers and how to help them to feel at ease. Shirley helps to keep the communication flowing between the experienced tutors and the absolute beginners. Shirley trained as a drama teacher which is very useful to help people bring the songs to life with performance skills. 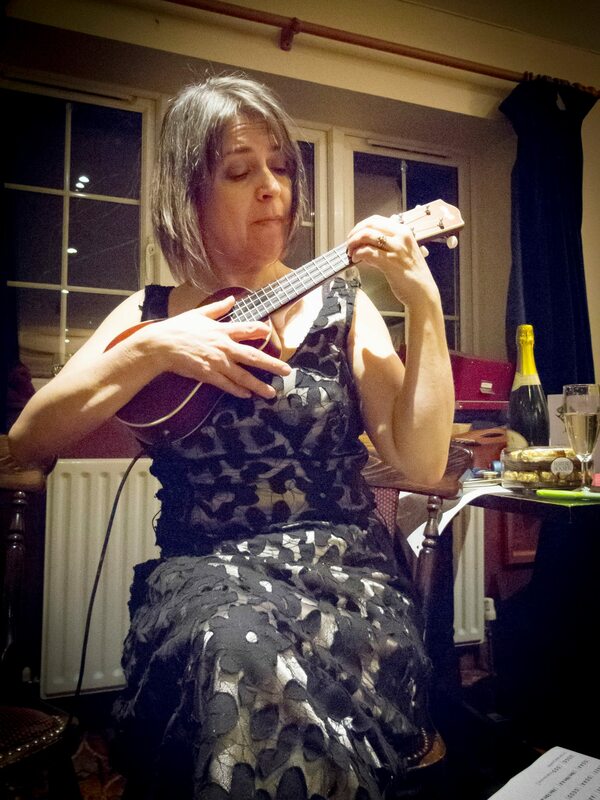 At the You Ukes 'n' All jams she provides harmonies, backing vocals and leads many songs. She is also magnificent on the 'kazoo'; an essential accompanying instrument for the uke.